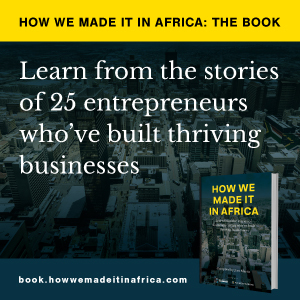 Meet the Boss is a How we made it in Africa interview series in which we pose the same 10 questions to business leaders across the continent. 1. What was your first job? My first job was briefly as a teacher on a part time basis while pursuing my MBA. My first real job was as a computer salesman at Leventis. 2. Who has had the biggest impact on your career and why? Ralph Awoseyin, who retired at Shell Petroleum and later was chief engineering and technology officer at Oando, unconsciously influenced my studying Computer Science. He moved me from absolute dread and hatred to a full, loving relationship with mathematics. 3. What parts of your job keep you awake at night? Thinking new designs and enhancements. 4. What are the top reasons why you have been successful in business? Fear of God, fear of failure, remaining focused and persistent hard work. 5. What are the best things about your country, Nigeria? The warmth of the people and their sense of humour. So much corruption yet no one admits to being corrupt. 7. Your future career plans? I agree with you, that is in the future. 8. How do you relax? I walk and I play chess. 9. What is your message to Africa’s young aspiring businesspeople and entrepreneurs? Fear God. Run from failure. Consistently work hard and let no one ever put you down. 10. How can Africa realise its full potential? We need not go through the long path to development and modernisation. We must focus on leapfrogging with technology. As Managing Director and Chief Executive Officer, John Obaro has led SystemSpecs to become one of the leading software firms in Nigeria. Obaro will be a panellist at the Africa Business Conference taking place at the Lagos Business School on May 30. The one-day event gives participants the opportunity to gain key insights from and engage prominent business leaders, senior public sector representatives, investors and the academia shaping the Africa of today and tomorrow.